Running until January 2019, the Dazzle Jewellery exhibition takes up residence in [email protected] for its sixth year and is celebrating its 37th year as a contemporary selling jewellery exhibition with two annual shows in London and Edinburgh. Facing out across the River Thames and tucked away below the iconic OXO Tower, the sparkling exhibition invites visitors from far and wide to browse and buy contemporary jewellery, luxurious woollen scarves and designer bags produced by international designers, both new and well-established within the industry. Jenny Llewellyn has worked at Dazzle for 11 years, having picked up the post almost immediately after graduating. She is now the Exhibition Manager, and any time she doesn’t spend running the show, she spends designing and making jewellery in her studio in Holborn. Jenny explains that Dazzle has a long-standing heritage which is intrinsically linked to the arts scene. Founded by Christine Bola and Tony Gordon, the first Dazzle exhibition was held in 1981 in the front of house area at the recently opened Royal Exchange, where, at the time, Christine happened to be theatre manager. Both Christine and Tony felt that the venue was ideal for catching the custom of like-minded arty, creative types on their way to and from events, plus it further expanded a theme which Tony was developing in his own gallery in Manchester, the Portland Gallery. As it became more successful, the London exhibition then moved to the National Theatre where it ran for 25 years and the team then also included a third partner, Suzi Arbuthnot. The annual shows held here would occasionally incorporate themes that artists would work into their collections, one the most notable being the Clocks exhibition in 2012. 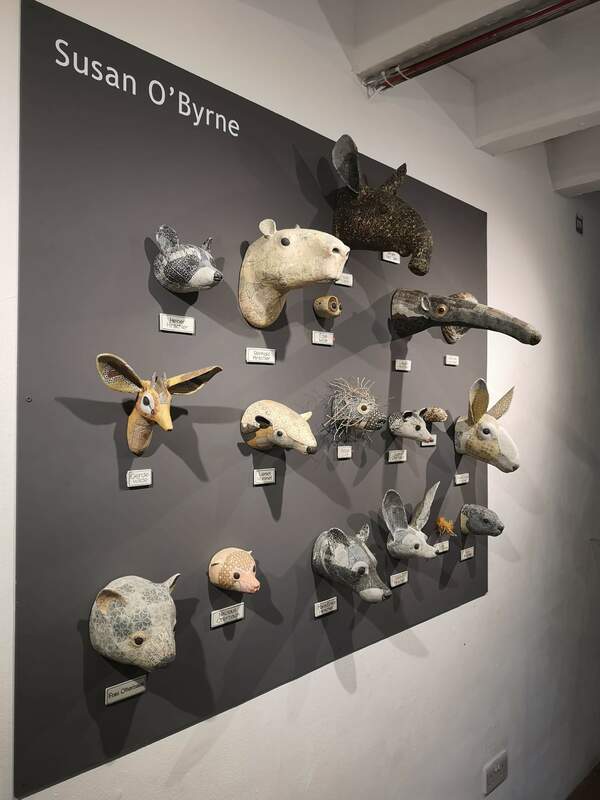 The Dazzle exhibition in Edinburgh is still very closely tied with the performing arts scene: taking up residence in the Dovecot Gallery at the Edinburgh Fringe Festival, the exhibition sees frequent visits from comedians and actors playing at the fringe. Over the years, Dazzle has showcased over 1,200 makers’ and sold over 400,00 pieces, and people continue to flock from far and wide to visit the esteemed exhibition. Loyal customers that have been in regular attendance swear allegiance to the exhibition, bringing along lucky family members and friends to private viewings and opening nights. Conscientious buyers with an interest in hand-crafted, sustainable designs will love many of the recycled silver and gold pieces, remodelled antique and vintage pieces, and particularly the work of Sue Gregor, who uses 100% recycled plastics and has a range of zero-waste necklaces. What’s more, famous names such as Dame Judi Dench, J. K. Rowling and Alan Rickman have also been known to drop by – not to mention a very special visit from Prince Charles and Camilla during the exhibition’s run at the National Theatre. 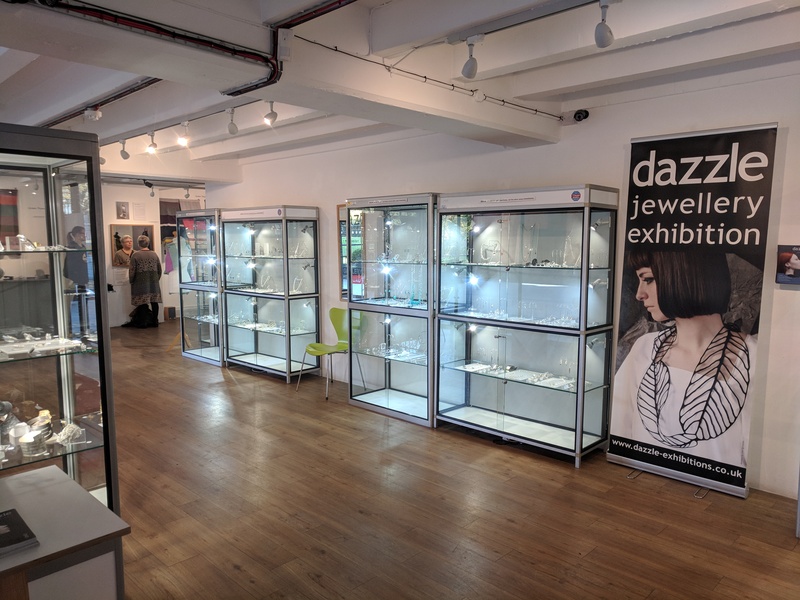 By contrast, the Dazzle website – now in its 10th year and about to undergo some massive renovations – attracts over 250,000 hits per year and features collections from over 75 jewellers, all of which are past and present exhibitors at the Dazzle shows. Jenny Llewellyn’s delightful pieces take inspiration from the sea. She tells us how she loves the corals and the luminous colours and shapes of underwater life, and these influences burst through in her organic designs. The art of moulding and shaping silicone is central to Jenny’s work and her collections are available at museums and galleries world-wide. Amongst some of the tremendous designers featured in this year’s show is Dominika Kupcova, a recent graduate based in Glasgow whose striking work is inspired by the aesthetic properties of the DNA double-helix. Her pieces combine precious and non-precious materials which are melded together and transformed through various processes to create materials that are both sturdy and waterproof. Catherine Rua’s beautiful time-centric pieces utilise bold lines and forms which signify movement to explore her Time Series collection. She works with precious metals and is a recent graduate from The British Academy of Jewellery. 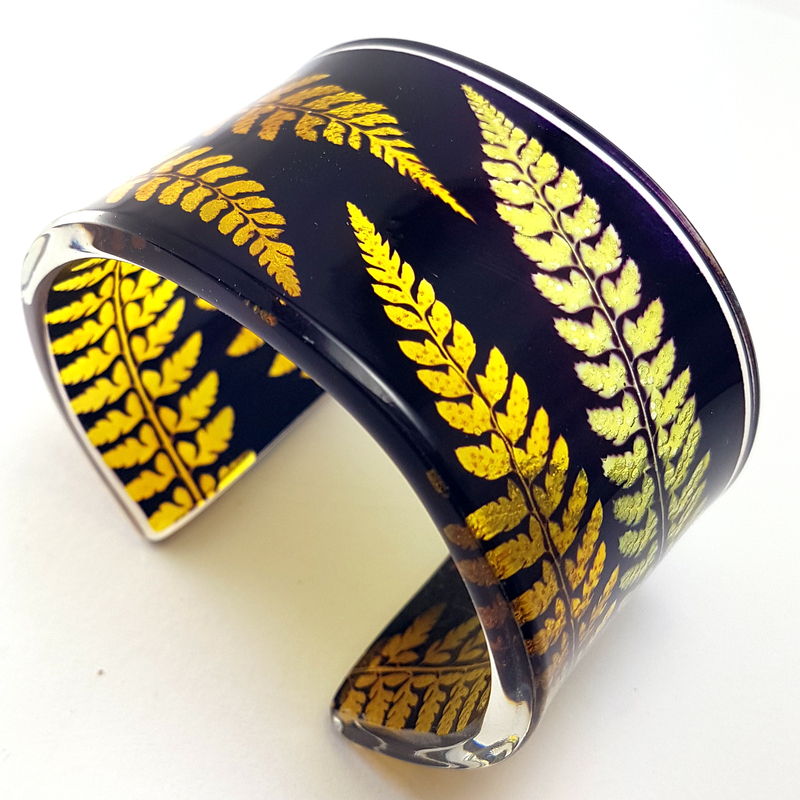 Though originally from the United States, DeeLyn Walsh now designs and produces much of her jewellery in the UK, in Liverpool. Her work features pieces predominately cast in sterling silver, and her latest collection also boasts delicate gold detailing. Hailing from New Zealand, designer Helen Noakes’ quirky jewellery focuses on miniature scale models of railways. Expertly hand-crafted from precious metals and resin, her pieces sell worldwide, and all include a touch of humour and fond sentimentality in their design. Cristina Zani’s work hints towards an Aztec inspiration with vibrant golds and deep blue bold designs. Inspired by the contrast between ancient and modern architecture or South Korea, her pieces use wood and metal combinations which echo both sombre modern buildings and ancient wooden temples and palaces. There are plenty more wonderful designers exhibiting down at [email protected], including some non-jewellery exhibitions including: hand-made leather bags by Steven Harkin; gorgeous merino wool outsized shawls and scarves by the St Martins’ design duo Green Thomas and unique ceramic; and the animal head wall hangings designed by Susan O’Byrne, which make a real statement centre-piece in the OXO gallery and are worth getting down for alone!